The East Bay’s venerable liberal lion, former Rep. Ron Dellums, offered his endorsement of Pamela Price, the Alameda County District Attorney candidate seeking to unseat Nancy O’Malley next month. “I have always been proud of the long progressive tradition in Alameda County. But today, in Alameda County, there continues to exist extreme racially disparate treatment in the criminal justice system,” said Dellums, in a statement. Over the past few weeks, Price’s upstart campaign has ratcheted up its rhetoric against O’Malley through a series of hard-hitting direct-mail pieces. One labelled O’Malley corrupt. 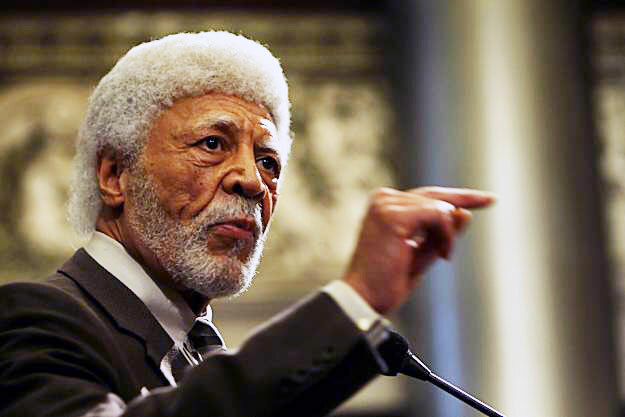 The Dellums endorsement gives Price campaign another boost within her progressive base. Although it’s unclear what Dellums means to Oakland voters following his turbulent one term as mayor and subsequent exit from the East Bay political scene. When news broke that Alameda County District Attorney Nancy O’Malley accepted a $10,000 campaign contribution from the Fremont Police Officers Association at the same time her office was investigating the shooting death of a pregnant 16-year-old by two Fremont officers, it gave Pamela Price an opening to exploit. The contributions have been used by Price to great effect. However, O’Malley still isn’t shying away from taking money from Bay Area police unions. O’Malley recently received a $2,000 donation from the Newark POA on May 3. Earlier this year, the San Francisco POA added $1,000. O’Malley cash on hand through April 21 is $612,000. An amount for the final stretch of the campaign that leaves a huge shadow over Price’s remaining $130,000. The two candidates, however, raised money over the past four months to a stalemate. O’Malley raised $168,000 in monetary contributions during the reporting period, while Price raised $165,000. 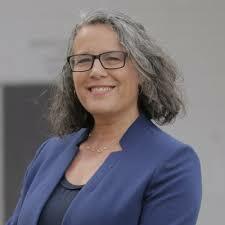 It’s big news for 15th Assembly District candidate Judy Appel and a sobering development for fellow challenger Ben Bartlett after Berkeley Mayor Jesse Arreguin announced he is now offering both a dual endorsement in next month’s primary. Arreguin had backed Bartlett, a first-term Berkeley councilmember, quite early in the campaign before offering Appel, a Berkeley school board member, a piece of the action. “I have had the privilege of working with her to strengthen the partnership between City government and our schools. Judy has dedicated over 25 years to serving our communities, and fighting for equity and justice. We need a leader with a proven track record of delivering for our district and who represents our progressive values. We need Judy in Sacramento,” said Arreguin. The endorsement could be important since Berkeley represents the largest portion of AD15, which also includes North Oakland, Richmond as its centers of power. The development appears to be another signal that Appel’s campaign is trending upward, while Bartlett’s may be languishing. The top two in the primary will face each other in the November General Election. Posted in Ben Bartlett, Berkeley, campaign finance, Election 2018, ElectionLine, endorsement, Jesse Arreguin, Judy Appel, June primary, Nancy O'Malley, Newark, Pamela Price, police union, Ron Dellums. Bookmark the permalink. Your article on the District Attorney’s race left out some key details that voters should know. Rather than return the donation from the Fremont Police Association, O’Malley donated it to SAVE/Safe Alternatives to Violent Environments, a Fremont non-profit that works to help women, teens, children and men who are trapped in abusive and violent situations. Those “hit-piece” mailers sent out supporting Price are paid for by New York Billionaire, George Soros who has been attempting to influence elections througout the country.